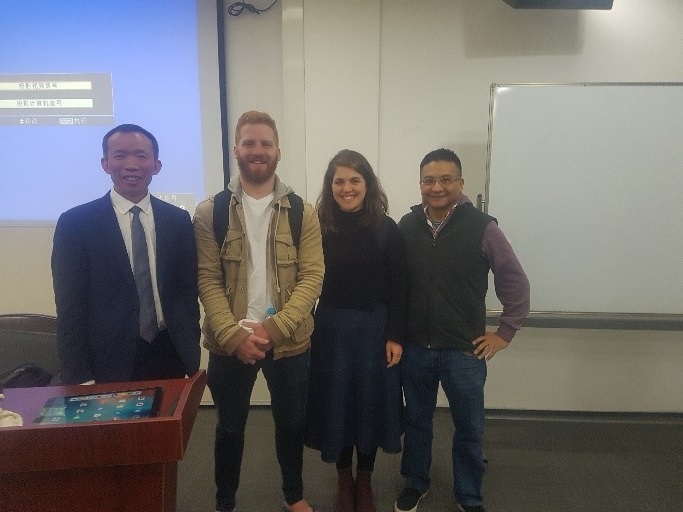 This morning we had the privilege of being taught (a brief introduction of) Chinese Intellectual Property Law by Professor Liu Yongpei. Yongpei began the class by announcing “My name is Yongpei, you may call me YongPei”. His humorous style of teaching involved putting a microphone in the face of an unsuspecting student. After an incorrect answer was given, silent disappointment followed. As such, he was quickly likened to Professor Matthew Stubbs, a compliment which was unsuccessfully explained to Yongpei. After some technological difficulties, we managed to hire some bikes and put our riding skills to the test on our way to the Jing’An Temple. 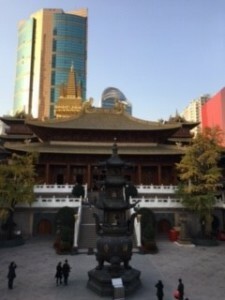 Situated on one of the busiest streets in Shanghai, we were amazed how this beautiful temple, built 1760 years ago, was surrounded by such new, architectural and high-rise buildings. 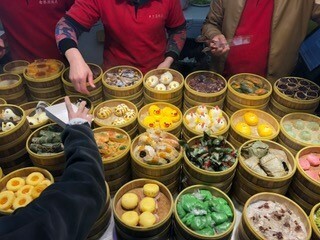 After the temple, we again took to the roads and headed to Yu Yuan garden, after only a few near crashes, we made to a beautiful old palace that has been converted into shops and restaurants. 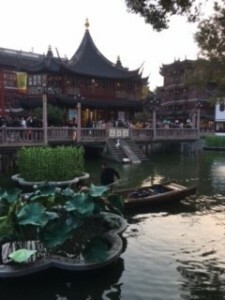 We tried some traditional tea over looking a pond filled with over-sized gold-fish and waterlilies and listening to traditional singers from Suhzou. We then rode the bikes through the Shanghai Peak Hour Traffic to TianZiFang. It was this nice “neighbourhood” that had a lot of interesting shops. They were very tiny, but well set up and decorated. Some of us got some ink stamps with our names in English and Chinese engraved on them. Eventually we all got together and had some dinner together in one of the alleyways of this “neighbourhood”. We had lots of fun chatting, eating and drinking. We would highly recommend going to this place. This entry was posted in Events, News and tagged China, China Study Tour. Bookmark the permalink.